The founding fathers of the EU will be turning in the grave right now pondering about what has become of the Union they created? As if the inhuman treatment of refugees in the Mediterranean isn’t enough naked dances in the market square, there are subtle, yet concerted efforts now by the traditional conservative powers to oust the popular Syriza Government of Greece through sabotage. Truth be told, no government within the European Union has ever dared challenge the status quo in the manner that the current Greek government is doing. They are feared as the biggest threat to renewed growth, job creation, economic prosperity, political integration and peace in Europe. That is untrue and it reminds me of a Nigerian Igbo adage to the effect that when a peer fetches better firewood, he’s accused of fetching those in a forbidden evil forest. The truth is to be found in the story of how Greece got to where they currently are. So how did the Greeks get here? After Greece joined the monetary union of Europe in 2001, the tiny country of 10 million (about same population as Belgium and smaller than Lagos State, Nigeria) was flooded with money from elsewhere on the Continent. Over the course of the decade that followed, Greek leaders, who can’t be said not to be corrupt, ran an economy long rife with patronage and tax evasion. They borrowed billions from their imprudent friends at European banks, and then perfected a culture of non-disclosure to EU officials about mounting debts. When the financial crisis finally rolled into Greece in 2009 and 2010, the country was in an estimated $430 billion in debt[i], a staggering figure that imperilled the economic health of its near and distant neighbours — indeed, all of Europe. The European Commission, International Monetary Fund and the European Central Bank (often referred to as the Troika) agreed to bail out the sinking economy by loaning it $146 billion. The bailout was not without a price tag, which was fixed by the bailers (Troika) and signed by the bailed (Greek Government). The strangulating price tag for the Greek bailout had nothing seriously to do with raising new funds, through proper corporate taxes or social security contributions but had mainly to do with austerity measures that meted out untold hardship to the hardworking Greek men and women. Let’s look at just a few of them and what they resulted in. One of the effects was reduction in state spending by slashing pensions and wages, eliminating jobs and unreasonable rise in wage taxes. As if the 2009 austerity measures were not bad enough, in 2012 an even larger rescue provided only temporary succour. Major infectious diseases soon came fully back in Greece, the figures for HIV and tuberculosis went sky high and malaria made a nasty return after 40 years of absence. Meanwhile spending on mental health care fell between 2010 and 2011 by 20%, and another 55% between 2011 and 2012 resulting directly in a rise in depression and suicides by as much as 45%. Very quickly it became clear that the spending cuts are producing what many Greeks consider to be a humanitarian crisis. It is apparent from all objective analyses that the core beneficiaries of the so-called bailout were Greek, German, Dutch and French big banks, who had to be rescued partly on the back of the ordinary Greek citizens. The best that could be said about the bailers is that they made some wrong choices but it could very well be a case of criminal negligence. I share these sentiments and would see the Greece troubles beyond my nose. It is Europe’s troubles too and by extension a global trouble. 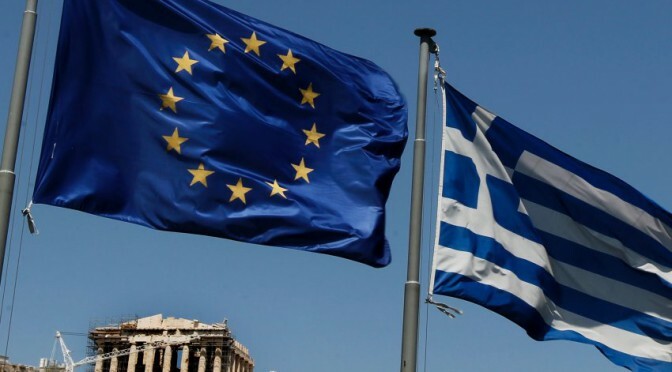 As all hands are put on deck, whatever the outcome of the July 5th referendum, a write-off of some parts of the Greek debt should not be ruled out. Except of course we want to rule out a sustainable solution to the crisis.